Microsoft has announced the switch-off date for its iconic Windows Live Messenger service, with all users having to revert to Skype by March 15 if they wish to continue exchanging instant messages with their pals. The chat client launched as MSN Messenger way back in 1999 and was hugely popular throughout the first half of the last decade, before succumbing to Facebook, Twitter and Skype, which ironically Microsoft ended up buying in 2011 for $8.5 billion. It's the Skype acquisition which, naturally, has convinced Microsoft to lay Live Messenger to rest. 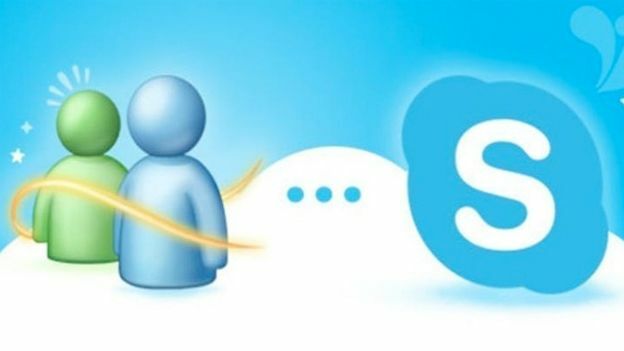 In the past few months it has been encouraging users to sign into the Skype client with their Microsoft (Hotmail, Outlook.com, Windows Live, MSN) accounts in order to convert their accounts. Until March 15, Live Messenger users will be able to chat as usual via the desktop client, but after that, it'll be Skype or nothing. Goodbye, MSN. We'll miss you. Forever will we remember those ten-minute .jpeg transfers from the dial-up days.